Properties in Sa Font Seca average 4.6 out of 5 stars. Property 6: Seaview Apartment in Port de Soller, minutes from the sea. Finca Can Anna a unique place where you can relax, and spend unforgettable time. Property 24: Finca Can Anna a unique place where you can relax, and spend unforgettable time. 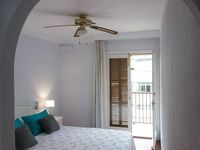 Seaview Apartment Port de Soller, minutes from the sea. Property 26: Seaview Apartment Port de Soller, minutes from the sea. ES POADOR - Chalet for 4 people in FORNALUTX. Property 36: ES POADOR - Chalet for 4 people in FORNALUTX. Magnificent photo studio in the center of Palma. Property 38: Magnificent photo studio in the center of Palma. Property 39: Gorgeous Mallorcan Style Finca With Pool and two bikes. Rustic farmhouse, surrounded by almond, quiet area. Property 40: Rustic farmhouse, surrounded by almond, quiet area. Property 42: Gorgeus Sea View! Wonderful Beach Apartment In Port De Soller. Private Terrace. CAN SETI - Villa for 4 people in Alaro. 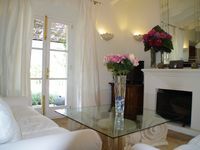 Property 45: CAN SETI - Villa for 4 people in Alaro. ES GARROVERAL 3 - Villa for 6 people in BUNYOLA. Property 47: ES GARROVERAL 3 - Villa for 6 people in BUNYOLA. Apartment in Palma. experience the beach and Old Town. Property 49: Apartment in Palma. experience the beach and Old Town. We loved this house and its surroundings. The view is breathtaking. The house is really well equipped and very charming. Millions of good things could be said about it and the owners. Only two small drawbacks: The very narrow and bumpy road up to the house (maybe 400 meters) can be a little annoying. And the furniture are very big for the size of the house. (But if you are there in the summertime you probably don't sit inside anyway) We will certainly recommend this place to friends and others. We enjoyed staying at this apartment. Pillar and Oscar were both very helpful. It is in a good location to use public transportation or it's easy to walk to the old town from the apartment. It was well stocked in the kitchen &amp; we especially enjoyed the bottle of wine and water that Pilar gave us. The apartment was very clean, the bed was comfortable, the linens were nice, and it was a special bonus to have a smartTV with access to Netflix and YouTube. Good choice to stay in this apartment!